This section is from the "Embroidery Stitches" book, by M. E. Wilkinson. Amazon: Embroidery Stitches. Tambour Stitch. A Chain stitch made by means of a tambour or crochet needle (a). Tambour work must always be done in a frame, as the material requires to be stretched quite tightly. 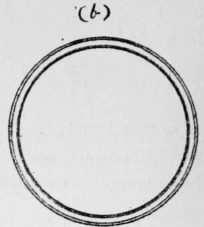 The round embroidery frames now used take their name from those originally used only for tambour work (b).